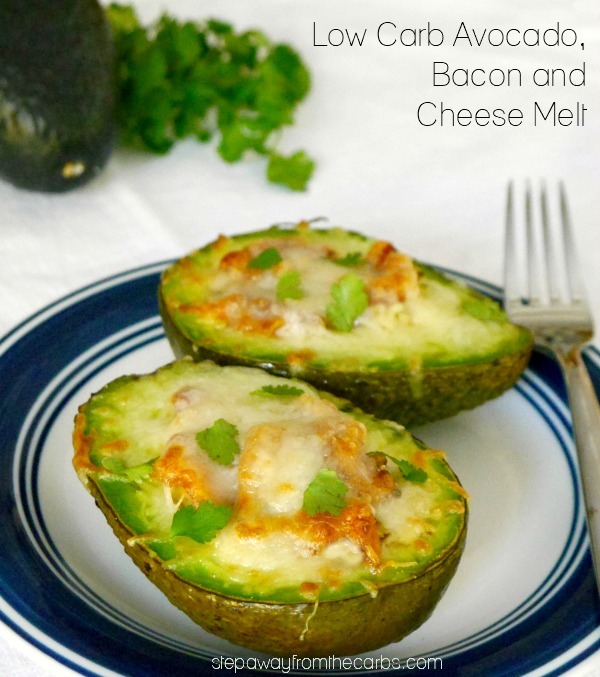 This avocado, bacon, and cheese melt is wonderful for a quick breakfast or lunch for one person! 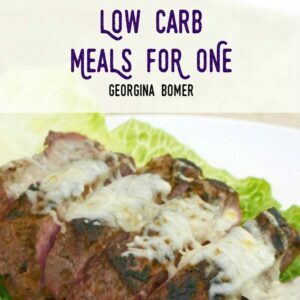 This tasty meal can be prepared in just a few minutes, and you may well have all the ingredients already! The salsa blends perfectly with the bacon (a successful partnership used in my super quick Bacon Jam recipe), and adds instant flavor and seasoning. 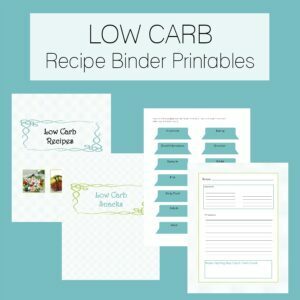 Serve it for breakfast or a light lunch! Slice the avocado in half lengthways, and remove the stone. 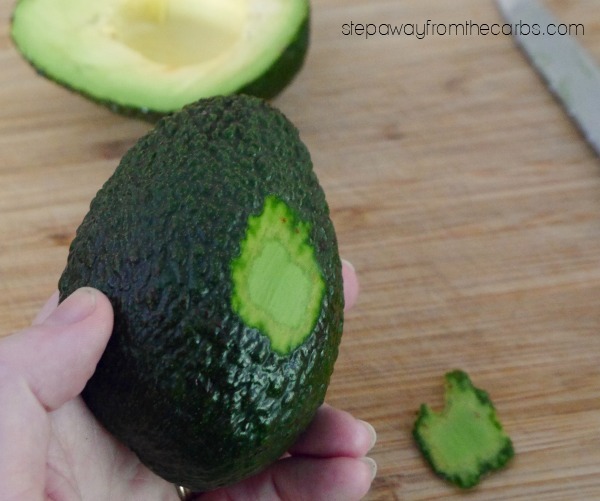 Keep the skin on, but slice a tiny sliver of skin off the base so that the avocado remains level. In a small bowl, mix together cooked chopped bacon, salsa, and a little heavy cream. Divide the mixture between the cavities in the avocado halves. 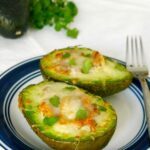 Sprinkle some shredded cheese over the stuffed avocados (I use an Italian blend), then place under a preheated broiler. Cook until the cheese has melted and starting to turn brown. Serve warm, garnished with fresh cilantro, if you like! In a small bowl, mix together the bacon, salsa, and cream. Divide the mixture between the cavities in the avocado halves. Sprinkle some shredded cheese over the stuffed avocados, then place under the broiler. Cook until the cheese has melted and starting to turn brown. Serve warm, garnished with fresh cilantro, if you like!